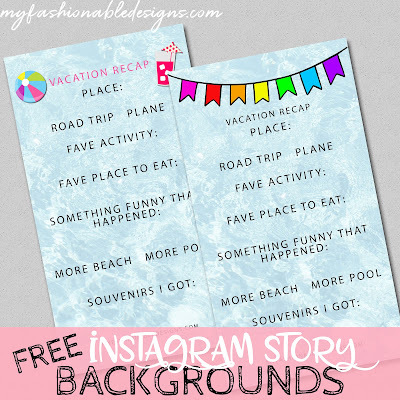 My Fashionable Designs: FREE Vacation Recap Instagram Stories Backgrounds! FREE Vacation Recap Instagram Stories Backgrounds! Enjoy these free VACATION RECAP Instagram stories backgrounds!